Have to say i’m Completely the opposite takes me 12 months at least to buy a bike the difference for me being I haven’t sold a bike in 20 years but I am running out of space but it means if I drop a clanger it’s not so important with others to ride and just as important I still have my 955. Is it brand new and what extras did you get with it? 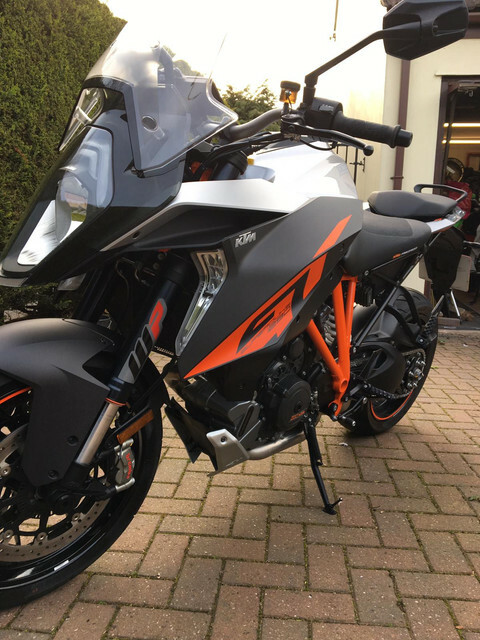 Bought second hand originally sold December 2017 so technically one of the cheapies that KTM dumped on the market the problem being so many got upset by what they did no one bought one in 18 and there is a shortage so the cheapies are going up in price oh the irony. What I will say I'm not one of those that buys and 'Oh its the best thing since sliced bread' they are an acquired taste if you only have one bike that has to do it all and it has to be a dead cert I'd go with the 1050 every time. In political terms i’d Class it as extreme right wing it’s a big old twin and you are never left in any doubt about that,unless you spend your life on the motorway top gear will never be worn out on the GT you need to be over 70 before even considering such compared to a 1050 it feels what it is a bike built by a company with a racing heritage and certainly not to everyones taste. I’ll be as interested as everyone else as to how Tim gets on where as I won’t be living with mine all the time which is a huge difference. It would be interesting to know how flexible the engine is. 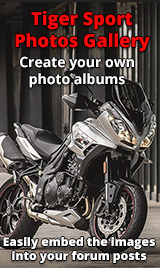 I had a gen 2 Tuono, and it was a great bike (at 80+), any slow or town work was a pain because of the short stroke.